Great Sewing Class with Zayda and Brinsley. 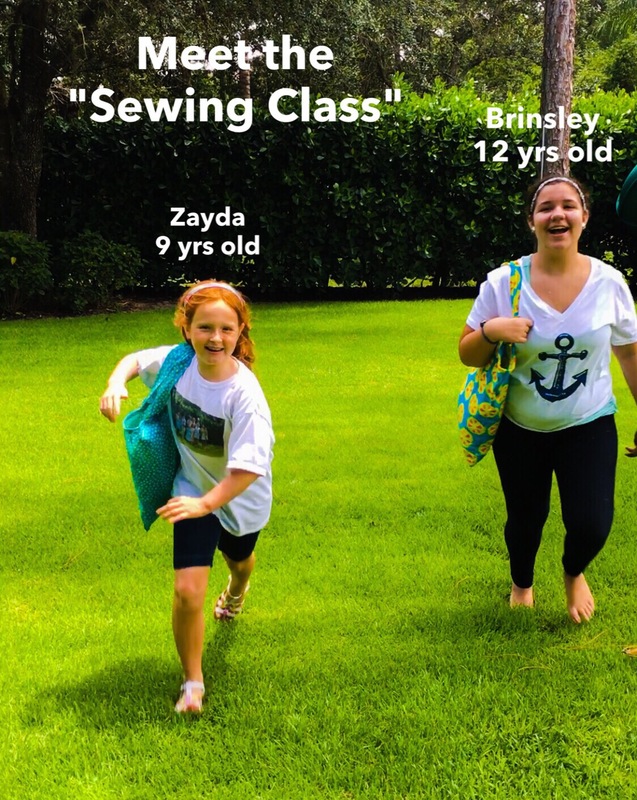 Zayda and Brinsley learned how to sew up a quick and easy Tote Bag this week and did great! We had fun choosing the fabric, assembling the tote and creating this fun video. Their favorite part were the Bloopers! This bag is good to carry anything in and even take to the grocery store as your shopping bag. Follow below to see how we sewed these up quick! Fabric of choice at approximately 18 inches x 20 inches for the body of the tote. Fabric of choice for the tote handles at approximately 4 inches by 22 inches. Cut out fabric to size for tote and handles. Iron handle fabric folding in raw edges and folding over again to make handles. Sew the open edge of the handle closed on your sewing machine. 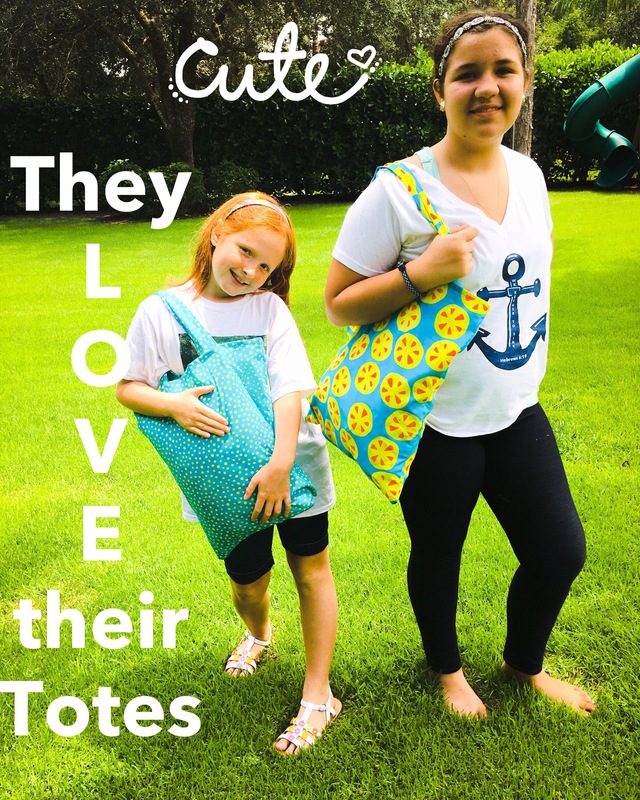 Sew the bottom and two sides of your tote together. Fold over the top edge of your tote and iron. Fold over again, iron and sew this in place. Pin handles to your tote (facing downward) then sew in place. Fold up your handles (upwards) pin in place then sew the handle at the upper hem edge. Watch the video for more construction tips. These are so easy and fun to make. Great beginner sewing project! Share your sewing projects with me, would love to see them!